On 11th April 2017, Severin Films will possess the souls of genre fans with the first ever fully restored presentation of Canadian nightmare generator CATHY’S CURSE. 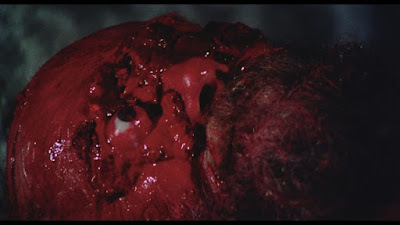 Fans can now experience one of the strangest EXORCIST/OMEN/CARRIE-inspired grindhouse hits like never before, transferred in 2k from recently-found film elements and featuring revealing new Extras with long-lost star Randi Allen and producer/director/co-writer Eddy Matalon. 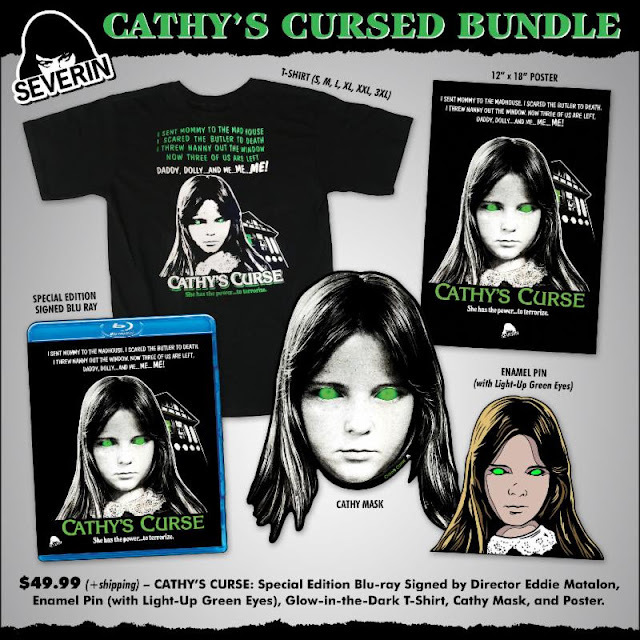 You can PRE-ORDER the movie from Severin Films and enjoy even more CATHY'S CURSE goodies, by ordering the CATHY'S CURSED BUNDLE. What is in this bundle you speak of? Well you will get a special edition copy of the Blu-Ray signed by the director Eddy Matalan, an enamel pin with light-up green eyes, a glow in the dark T-shirt (make sure to choose your size when ordering), Cathy mask and a 12 x 18 poster. This will cost you $49.99 (plus shipping) (£58.99 with shipping for U.K. buyers) and can be pre-ordered by clicking here. You can also get the STANDARD VERSION of the movie from Amazon.com at the link below.